Skill and compassion go hand in hand when providing exceptional patient care. I am a kind, conscientious, and artistic dentist who believes in the whole person oral health care approach. Using the best natural and bio-compatible materials paired with the latest dental technology through integrative dentistry is what I strive to bring in my practice. As a doctor, I recognize that my patients have placed a great deal of trust in me and my team. That is one important reason why I value each and every patient relationship. Helping bring out the natural health and beauty of your smile is my true commitment to you. Outside of my naturally minded dental practice I enjoy spending lots of time with my husband and kids. I am an avid gardener and love making the world greener. As an artist I also enjoying painting, interior design, and photography. I appreciate the time you’ve taken to visit our website and find out more about this dental practice, my team, and the many services we can provide to help you achieve natural beauty and health to last a lifetime. 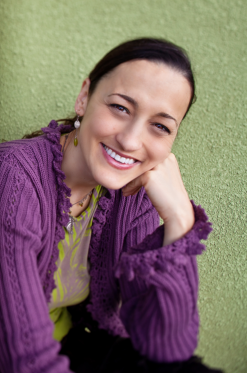 Dr. Laura Lawson graduated from University Of Pacific School of Dentistry in San Francisco in 2002. She also holds a BS in Microbiology with emphasis in Genetics from University of California, Santa Barbara. She grew up in Bucharest, Romania and moved to the US during her teen years to attend high school in the beautiful East Bay.